The color shown in the picture above is OT1B/27. 1. Take a section of your hair from the top and tie up to later blend with UniWeave. Wrap or cornrow your hair securely in the back to clip on your UniWeave. 2. 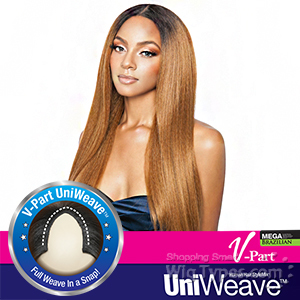 Place UniWeave on top and clip onto your hair or cornrow. Use the metal comb in the nape for more security. 3. 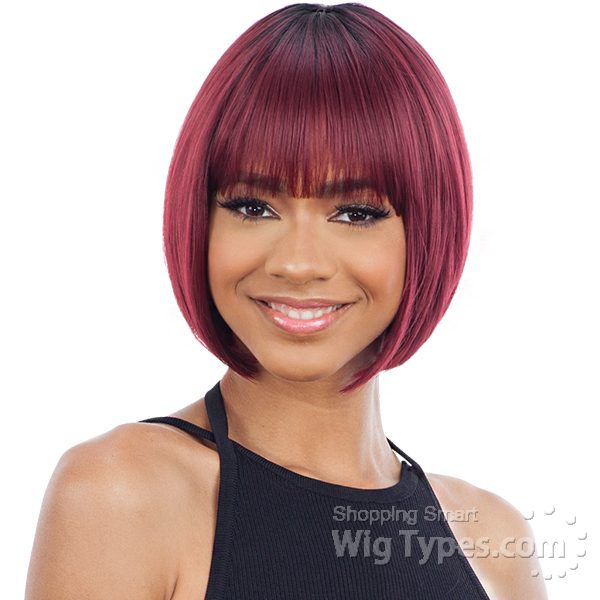 Let down your hair from the top, style and blend your UniWeave. 1. Untangle hair before washing with a wide tooth comb. 2. Apply mild shampoo in a basin and add lukewarm to cool water. 3. Gently cleanse in basin carefully holding unit to avoid hair tangling. Swishing hair around may cause hair to tangle. 4. Rinse out conditioner, gently squeeze out excess water and pat dry with a towel. 5. To dry hair, use a low heat dryer or set dry by air naturally.